Ask any skin care guru what the number one most important products for your face are, and they’ll probably all tell you the same thing: facial moisturizers. Throughout the day, our skin is zapped of it’s moisture, leaving us looking dry and haggard. Every time you shower, shave, or even just step out into the cold winter air, you’re doing a little bit of damage. Fortunately, moisturizers can fix this fairly quickly and provide you with the protection your skin needs. But not all skin is the same. Some people have oily skin. Some people have acne prone skin. Some people have sensitive skin, and don’t like to to put a ton of product on. Since skincare isn’t a one size fits all situation, we decided to break down a list of our favorites for every skin type. Whether sensitive, normal, dry, oily, acne-prone, or some combination of any of these, we’ve got you covered. If you want to keep your skin looking beautiful for years to come, it’s important to choose the right products. Start a skincare regimen today that caters to your needs. If you have especially dry skin, chances are you know it. Your face feels like it’s going to crack after a shower. Winter is your enemy. That just means you need to invest in a strong facial moisturizers. The light options we’ve covered, except the ones described as too heavy for day use, are not an option for you. Here are some heavy hitters to keep your face look luscious. 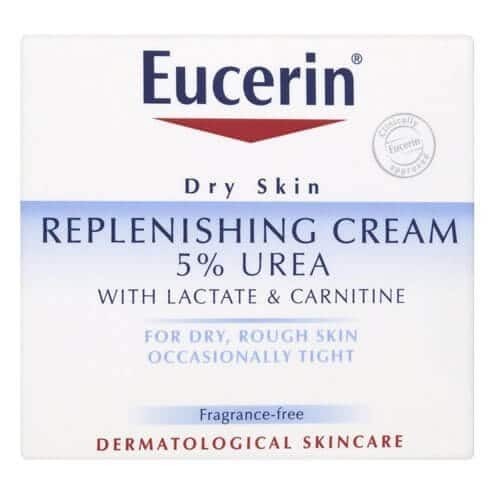 Eucerin Dry Skin Replenishing Cream With 5% Urea – Let’s say you have very dry skin, are prone to acne, AND are so cheap that the more expensive options at Sephora made you sick. This cream is for you. The company targets this towards “Very Dry Rough Skin,” so if you feel like a snake face in the winter, this is for you. In addition, it won’t make you break out. Keep your skin fresh and glowing without the acne. It’s a perfect night and day cream, so use it liberally. Clinique Moisture Surge Intense Skin Fortifying Hydrator – This next model is NOT for the penny pinchers. However, if you’re in the need for some intense repair, this is one of your best bets. We’re talking flakey skin, winter winds whipping dry. If you’re only on the moderate side, this is not for you. But if you feel like your face is going to fall off when you walk outside, invest in this option from Clinique. Let’s start with the basics. If your skin doesn’t really fall into a specific problem category, consider it simply “normal.” It doesn’t get too dry, or to oily, and you’re not to concerned with acne. So you need facial moisturizers that don’t try to push your skin too far in either direction. 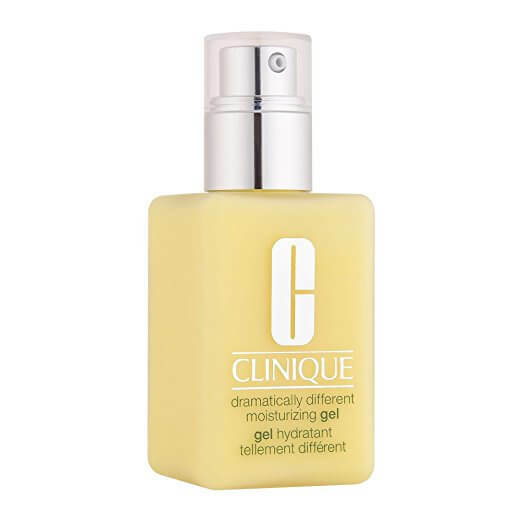 Clinique Dramatically Different Moisturizing Gel – The Dramatically Different line is a very popular one, but users often find the lotion formula to be a bit too greasy. The gel, on the other hand, is lightweight enough for those with normal skin. If you are prone to acne, this is not the choice for you. 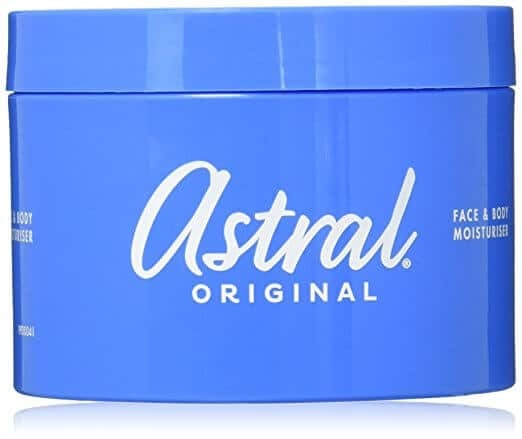 Astral Moisturizing Cream – This face and body moisturizer from Astral is decent for those that may be a little acne prone, especially hormonal, but it’s more suited for normal skin. Despite it’s label as face and body, you might find it a bit to expensive to go all over. Invest in facial moisturizers, but you can afford to be thrifty on your body. Users also suggest using this only as a night moisturizer, as it might make you look a bit oily. If you find that many moisturizers leave your skin red and irritated, you may fall under sensitive skin. Often other problems go along with sensitive skin, so many facial moisturizers in this category can pull double duty. Keep in mind any other problems that you may have. If you’re acne prone as well, one that clogs your pores is a no-no. 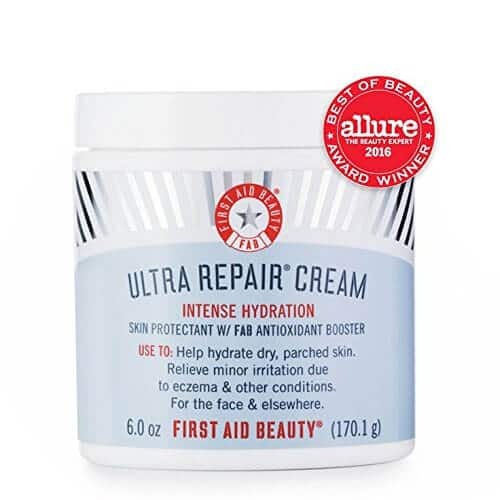 First Aid Beauty Ultra Repair Cream – This product is really a well-rounded cream. It’s suitable for sensitive, acne prone, oily, AND dehydrated. You’re not going to find many that works for just about everything. This is especially useful if your sensitivity comes from eczema. Some users have said that it can be a little rich, so they prefer it only as a night cream. If you find that to be a case, pair it up with a lighter option for the mornings. 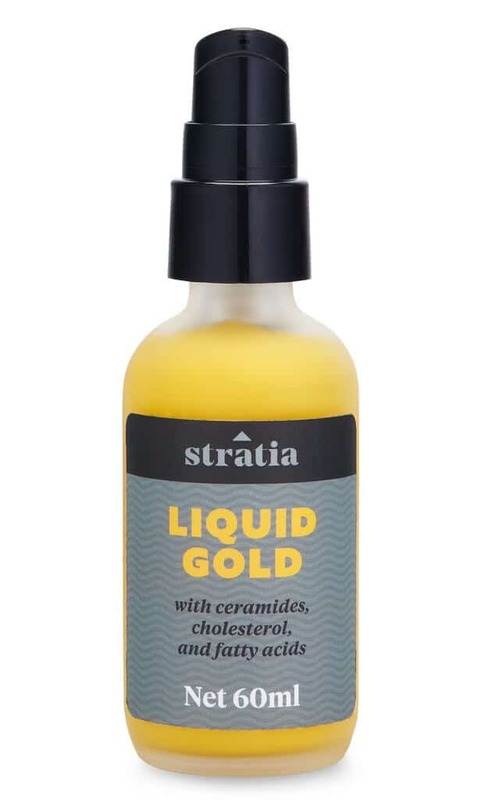 Stratia Liquid Gold – If you’re looking for a later moisturizer, or if you have rosacea prone skin, this is a top choice. It’s perfect for sensitive skin, without the richness of the Ultra Repair Cream. It’s a spray on moisturizer, which may make application easier for some. However, if you like more control, this might not be for you. The company states that if you have very pale skin, you may notice an orange tint. That will go away, but it may be best to just use before bed. For darker skin tones, alternate this with heavier creams, or use it alone. If your face starts feeling like a butter factory halfway through the day, you need a moisturizer that can deal with that. Chances are, you are also fairly acne prone, but regardless, this is perfect for folks who can’t afford to add any extra oil to their face. Olay Moisturizing Lotion Sensitive Skin – Yes, this is marketed as an option for those with sensitive skin, but problem skins tend to have many different problems. This moisturizer works great for a bunch of different issues. If you use too much, since this isn’t technically for oily skin, you may get a bit of a sheen, but a little goes a long way. Keep it light, and you’ll have beautiful, healthy skin. If you have a little bit of both oil and dryness, you fall into combination skin. It can get a little difficult to deal with, as a cream may help one, and worsen the other. Cerave Facial Moisturizing Lotion PM – Since this is technically a night lotion, some may find it to be a little too heavy. However, it’s perfect for those that can’t quite strike a balance between dry and oily. It’s been praised for it’s quick absorption, which is important for avoiding a sheen. Whether you use it as intended, or for both morning and night, this is a great choice for combination skin. 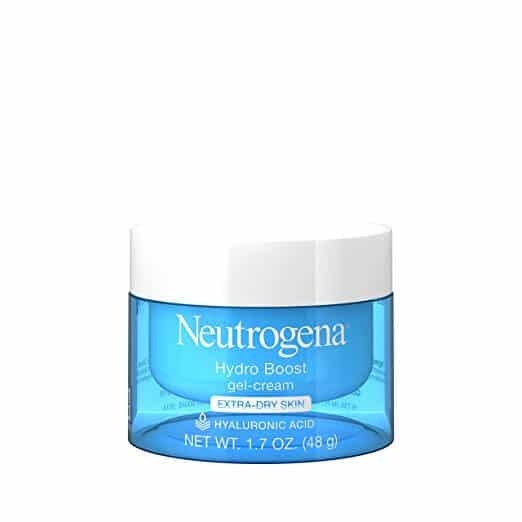 Neutrogena Hydro Boost Gel – If you have combination skin with certain patches of intense dehydration, this is your go to. This gel delivers some serious hydration without adding to your oils. It’s fast absorbing, and while we can’t fully trust a manufacturer’s word, it claims to be effective for up to 48 hours. That’s perfect if you can’t afford to keep throwing lotion on your oily spots. If you have severe acne problems, facial moisturizers are your worst enemy. They’ll break you out, and make the whole situation worse. However, you can’t avoid them completely. You just have to be careful about what you choose. Keep your skin healthy without adding more breakouts. 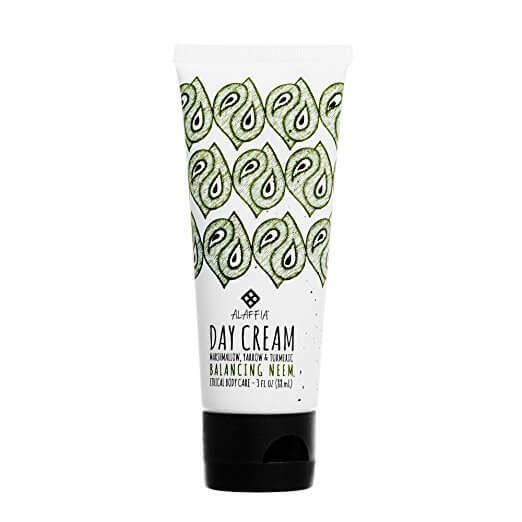 Alaffia Balancing Day Cream – If you’re looking for a simple, all-natural moisturizer, this is it. It’s a great lightweight option for people worried about breakouts. The one downside is that it does have a bit of a scent. Even though it is day cream, if smell is an issue, consider it for your PM option. Carley’s Clear & Smooth Daytime Moisturizer for Acne Prone Skin – Next we have an option made specifically for your skin. If you’re prone to acne, sometimes adding extra chemicals is the worst thing you can do. This all natural option is the perfect, non-greasy option for your skin. 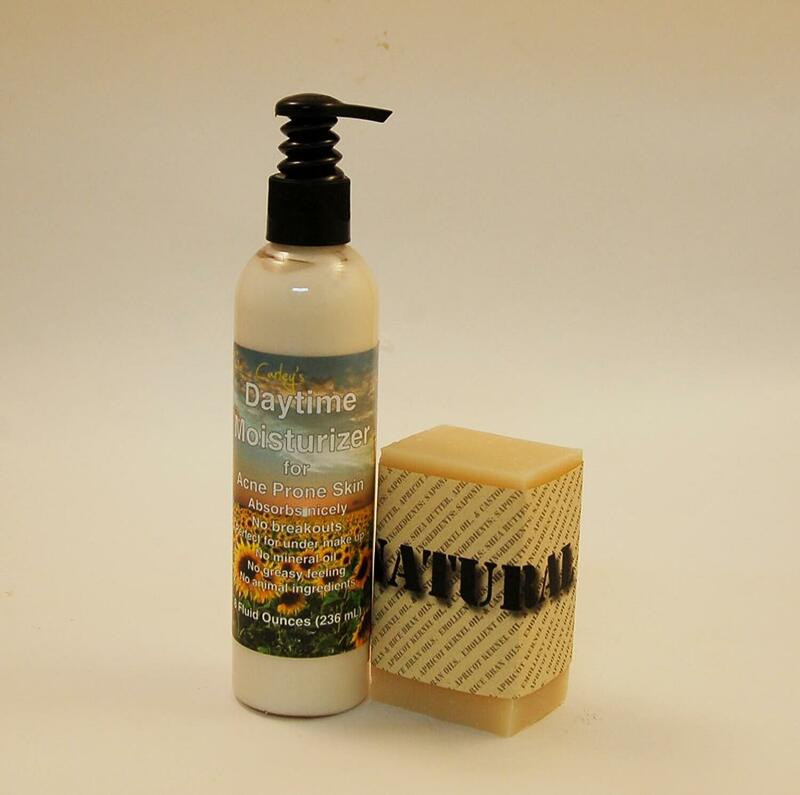 Staying moisturized is important, but individualization is even more so. Don’t settle for a cookie cutter skin routine. Don’t settle for cookie cutter skin.